It’s possible for particles to be so intimately linked that, even when separated at a vast distance, a change to one particle can affect the other. This intimacy is referred to as entanglement. Entanglement is described by quantum mechanics—a branch of physics that looks at the workings of particles at the subatomic level. Quantum mechanics posits that the properties of particles at this incredibly small scale rely on probability. Scientists have sought to study the quantum world for decades. Albert Einstein, among others, thought that there must be some hidden variables that allowed quantum systems to be more predictable. John Bell presented the idea that for such a system with hidden variables to exist, one particle must have instantaneous influence on another particle. This theorem is an essential foundation in the study of quantum mechanics, and only recently have scientists been able to run proper tests of the experiment that Bell needed to prove it. Last year, three independent studies on quantum mechanics were consistent with Bell’s predictions. In their study titled “Strong Loophole-Free Test of Local Realism” published in the journal Physical Review Letters, Shalm’s team show that Bell’s idea was correct. 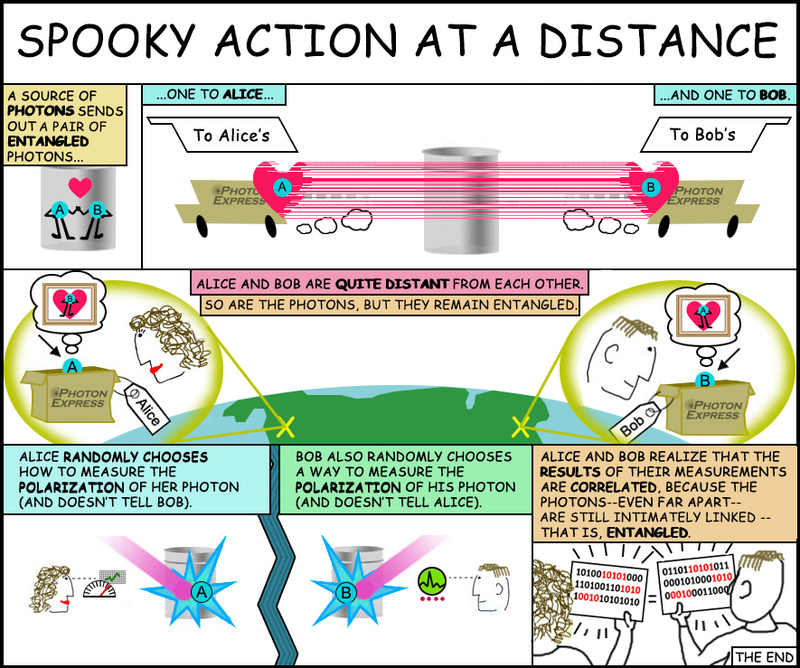 Their study showed that when two photons are entangled and separated – at a distance of 185 meters (607 feet) in their test – they behave as if they are still part of one system. This phenomenon of entanglement persists when the experiment is repeated with varying pairs of entangled photons. The reason why this is such a big breakthrough is that quantum mechanics opens the door to faster and more secure communications. “Right now we have the Deep Space Network to communicate with spacecraft around the solar system, which encodes information in radio signals,” said Marsili. This research into the abstruse properties of subatomic particles has a great number of important, real-world applications. The design of the experiment itself has potential uses in cryptography and information security, since it included generating random numbers; but the most significant application is in information transmission. The sheer density and amount of information that deep space optical networks transmit could be stepped up by orders of magnitude, which is absolutely critical to our exploration and eventual colonization of the solar system. So a bizarre, mysterious, often overlooked property of objects on a subatomic scale could just be the key to our conquest of that vast world that awaits beyond the Earth’s cradle.